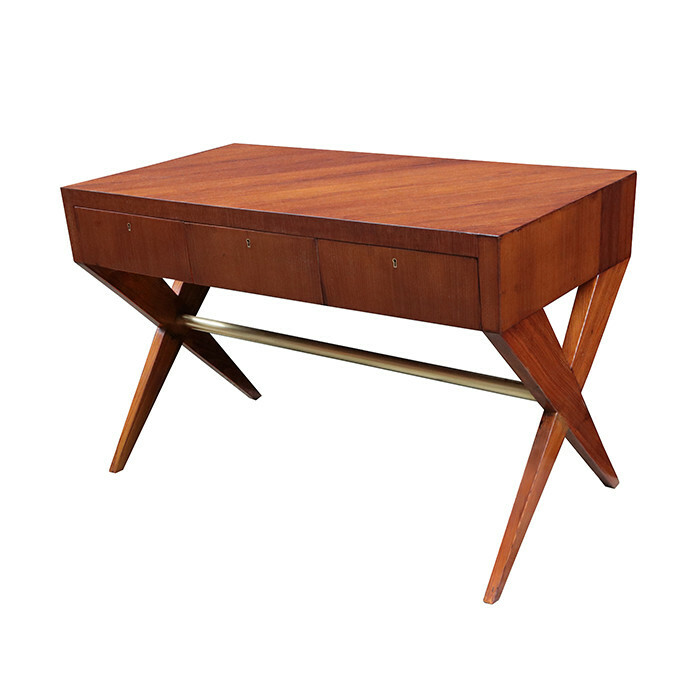 A Mid-Century writing table attributed to Tomaso Buzzi. Solid Oak with patinated brass stretcher detail. Dimensions: H:30 W:48 D:25½ Inches.